Adrew Carnegie (1835–1919) was among the wealthiest and most famous industrialists of his day. Through Carnegie Corporation of New York, the innovative philanthropic foundation he established in 1911, his fortune has since supported everything from the discovery of insulin and the dismantling of nuclear weapons, to the creation of Pell Grants and Sesame Street. The work of the Carnegie Corporation in New York and its grantees has helped shape public discourse and policy for more than one hundred years. Millions of people have benefited from Carnegie’s foresighted generosity — a legacy of real and permanent good. 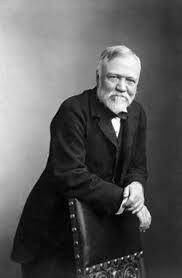 As a student society, we aim to carry this mantra of doing good through innovation and science into the University of St Andrews, where Andrew Carnegie served as Rector from 1901 until 1907.